The Planet Dog Orbee-Tuff Strawberry is super bouncy and due to the asymmetric shape of the toy it has an erratic bounce to keep your dog guessing and entertained. This strawberry shaped toy is very durable for chewers and at 3" high is most suitable for medium breeds. 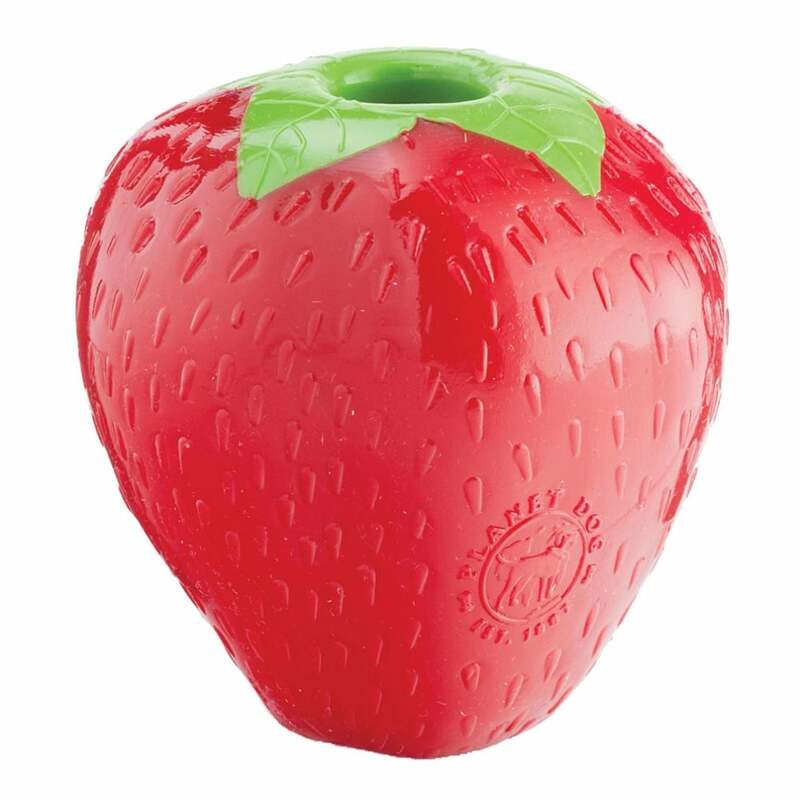 The Orbee-Tuff Strawberry features a hole that can be filled with treats to make this toy suitable for training as well as play.